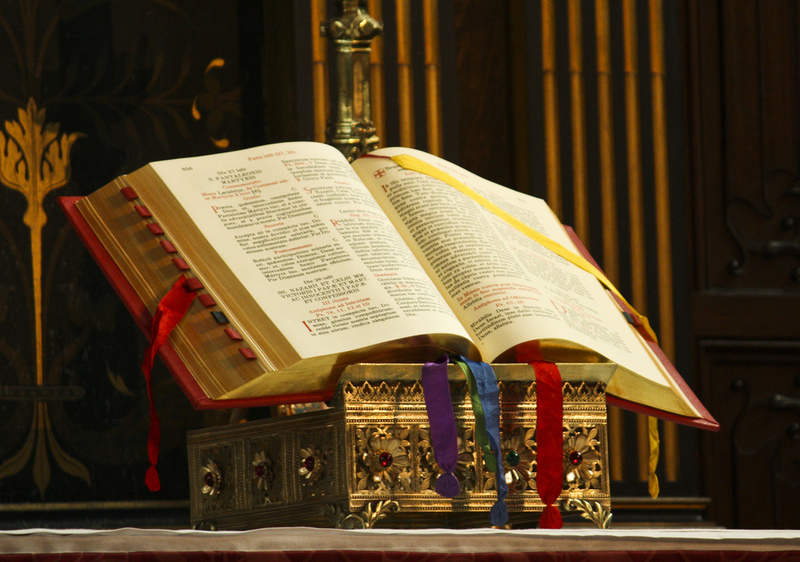 Over the years at NLM, various authors have published articles concerning how the Ordinary Form might be “enriched” or “improved,” usually by way of adapting or importing practices of the traditional Roman rite. Sometimes this has taken the modest form of recommending that the OF’s own rubrics be actually followed (e.g., on the ad orientem stance, or on the use of Propers), and that a celebrant exercise a well-informed liturgical phronesis (prudence or practical wisdom) in the choice of options. At other times, the proposals have been more comprehensive, as in Fr. Richard Cipolla’s “A Primer for a Tradition-Minded Celebration of the OF Mass.” Such proposals tend to be greeted with two strongly contrasting reactions: a warm welcome from proponents of “mutual enrichment,” or a stern rebuke from those who see them as fomenting disobedience to the new liturgical books and the documents that control their use. For Kant, duty is something absolute: in Germanic fashion, one ought never to swerve from the strict provisions of the law. In fact, the only way we can know that we are virtuous is by suppressing any subjective motivation or personal judgment about what is right to do and submitting to the objectivity of legal dictates. In this perspective, there is no room for going beyond the letter of the law to achieve more perfectly the law’s own intention of promoting the common good. If a traffic light or crosswalk signal is red, one must always stop at it, regardless of the circumstances. For Aristotle, in contrast, formulated laws, as necessary as they are for social life, suffer from the inherent flaw of having been universally framed (as if to embody a timeless and placeless rational perspective), and thus incapable of responding to certain immediate needs. While justice is surely founded on law-abidingness, it is perfected by an additional virtue called epikeia, whereby one judges well of when and how to adapt the law to specific circumstances. Epikeia is the virtue of seeing past the phrasing of the law to the good it intends to safeguard or promote, so that one may do that which will best safeguard or promote that very good — even if at times it involves stepping aside from the literal dictate of the law. Hence, if the traffic light is red, but one has a seriously injured person as a passenger, one looks both ways and then drives straight through the red light to reach the hospital. 1. The Kantian: “Say the Black, Do the Red.” No more and no less. The first or Kantian approach suffers from a kind of mechanistic hollowness: one acknowledges a strict duty to an extrinsic principle but makes no room for the intrinsic principle of intelligence to interpret the situation and act appropriately. 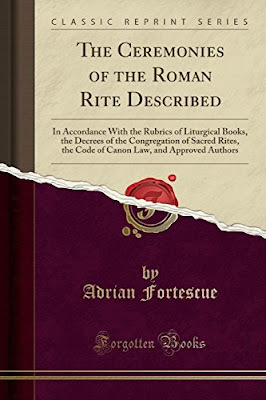 That this cannot possibly work for the OF is evidenced by the fact that all kinds of decisions have to be made for which there is no provision in the rubrics (unlike in the usus antiquior, where the Church, drawing on the wisdom of centuries, has carefully specified what is to be done, allowing the celebrant to yield himself more freely to the rite in its perfection). This is why Msgr. Elliott’s Ceremonies of the Modern Roman Rite and Ceremonies of the Liturgical Year are such helpful books — and so hated by liberals. It draws upon the wealth of classical rubrics in order to give more dignity to the OF’s celebration. While it is nowhere near as daring as the Primer published at NLM, it still presupposes the same “classical liberal” attitude of doing what is in line with tradition. Let me offer a concrete example. Whether the architects of the Novus Ordo disbelieved in transubstantiation or whether they understood the Real Presence in a heretical manner is a moot point; what is beyond dispute is that they suppressed practices that centuries of reverence for the Blessed Sacrament had prompted, and that this suppression has had the effect, in practice, of lessening both the clergy’s awareness of the awesomeness of the sacred mysteries they enact and the people’s faith in the Real Presence. A priest, therefore, possessed of good liturgical sense, understanding why a genuflection should be made immediately after the consecration, why the fingers are thenceforward to be held together, and why, during the ablutions, the fingers should be washed over the chalice with wine and water, will simply do all this as dignum et justum, the right and just thing to do. In this way he is more in keeping with the mind and will of the supreme legislator, who is obligated ex officio to preserve and promote both the liturgical tradition and maximum reverence towards the Body and Blood of Christ. In this way the legislator’s authentic intention is taken up and strengthened, whatever a particular legislator may have been thinking in his human frailty. All this being said, the Aristotelian approach is advisable for a priest who is steeped in the tradition and thus will know how and when to bring traditional elements to the OF. 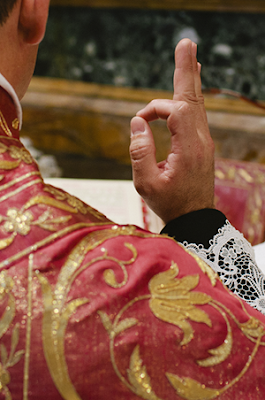 In contrast, it is dangerous, one might say, for a priest who is operating from a flawed or piecemeal liturgical formation to attempt to apply epikeia, for he may introduce untraditional, unliturgical elements, again with the best of intentions. To put the matter practically, the priest who will be most capable of exercising epikeia in the OF will be the one who is well-versed in the celebration and rubrics of the usus antiquior. Indeed, this was precisely the source of the Primer: its author is a priest who for years has offered both the traditional Mass in all three of its forms (Low, High, and Solemn) and the Ordinary Form within a hermeneutic of continuity. There is no magisterial document on this “meta-question.” The Instruction Redemptionis Sacramentum and other documents say, of course, that the priest must be obedient to the rubrics, and that the faithful have a right to a liturgy that is celebrated according to them, etc., but both the Kantian and Aristotelian approaches already concur on this point. 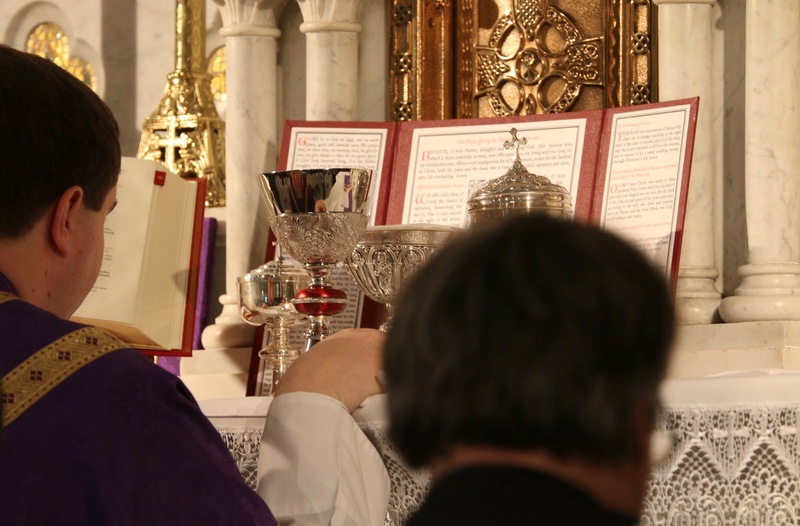 The confusion in the Latin Church today results, at least in part, from the importation of the antinomian culture of the 1960s into the very sanctuary, in the form of an open-ended liturgy with options, inculturations, adaptations, and a vastly impoverished code of rubrics. Whatever may be its social merits or demerits, antinomianism is an unsustainable liturgical philosophy. This is precisely why young clergy are eager for the kind of guidance offered them in Msgr. Elliott’s books and NLM’s Primer. Ezekiel’s depiction of Israel — “you were cast out on the open field, for you were abhorred on the day that you were born; and when I passed by you, and saw you weltering in your blood, I said to you in your blood, ‘Live, and grow up like a plant of the field’” (Ezek 16:5–6) — might well remind us of the sorry spectacle of a liturgy so much depleted of sacrality, so much in need of growing up and joining the world of actual historical liturgies (if such a reunification is even possible — a theoretical question better left for another occasion). Naturally, clergy and laity who love Catholic tradition, and who are, in one way or another, confined to the use of the Ordinary Form, wish to do something about this problem of the loss of sacredness and the lack of appropriate rites and rubrics. We ought to recognize that there are various plausible and defensible solutions. One of them, as this article has argued, is to Say the Black and Do the Red with an epikeia that avails itself of traditional means by which the Black acquires a fuller resonance and the Red achieves a fuller dignity. See Nicomachean Ethics, Book V, ch. 10, for Aristotle’s most complete treatment of this virtue. I say this somewhat tongue-in-cheek; my actual views on classical liberalism as a socio-political philosophy are well known. Suffice it to say that, following in the line of Gregory XVI, Pius IX, and Leo XIII, I am not a fan of it. The priest is an instrument or tool, but he is, as Aquinas says, an intelligent tool. That is, the Lord makes use of him according to his own nature as a rational animal. There are larger theoretical issues here, as well, that go beyond the scope of this article. On the one hand, those who designed the OF presumably wanted to revive some fantasy of a free-wheeling early Church liturgy with ex tempore prayers, but there was no thought of the liturgical formation that would be necessary for such virtuosity. Then, formation itself presupposes a specific liturgical tradition, whereas the OF and its options are eclectic between traditions. How is anyone supposed to know if this (mangled) set of Roman orations goes best with that (bowdlerized) Alexandrian Preface, or this or another chant in Latin, English, or Spanish? Prudent choice makes sense within a stable, coherent structure. This, again, is why the usus antiquior is the only possible guide to stabilizing and harmonizing the usus recentior.